This placement project was definitely an enlightening learning experience and truthfully stressful time span of a few weeks where we worked with Ms. Capozzi to try and incorporate more technology into her everyday French class. From the beginning, Ms. Capozzi had a clear picture of what she wanted to do. She wanted to use Google Docs for giving out, handing in and marking assignments. She wanted to be able to comment and provide feedback on the assignments that students sent in and shared through Google Docs. Ms. Capozzi also wanted to incorporate the SMARTBoard into her lesson with SMARTBoard review activities. She wanted to use the SMARTBoard to create a more a lively, interactive and fun atmosphere in the class, to get the students moving while learning. We showed her the basic functions of the SMARTBoard and the set-up of the SMARTBoard. 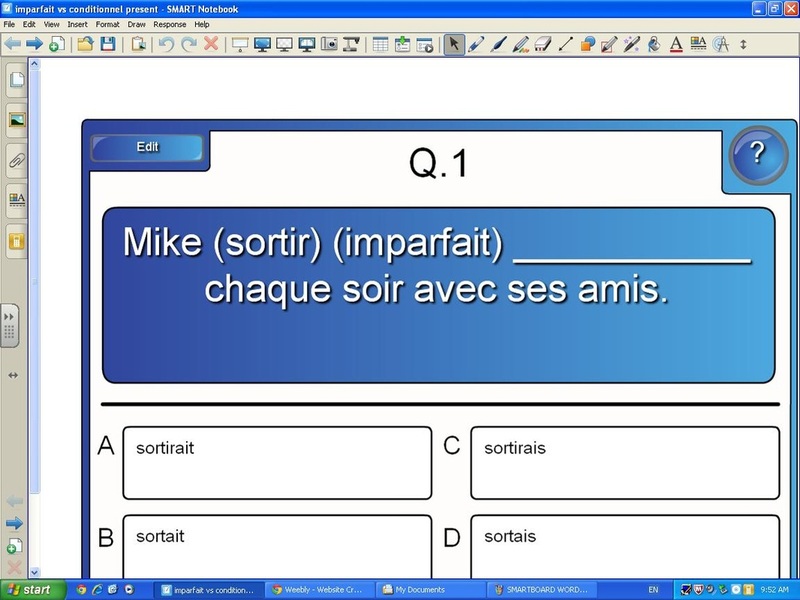 We also went over the creation of a couple of SMARTBoard Notebook activities in the Lesson Activity Tool Kit. We wrapped up our placement project with the creation of a few SMARTBoard review activities for her grade 9, grade 10 and grade 11 French classes. The application of this placement project could be used for any course. The uses of SMARTBoard and Google Docs are so broad that it would be useful in any course. Google Docs: Google Docs can be used in most courses. It is especially useful in language courses, where students can send in to work. But students can send any type of work on Google Docs. It is also useful for handing in and sharing assignments. SMARTBoard: The SMARTBoard can be used in a wide range of classes, from science to mathematics to the languages. It is an interactive tool and it is really effective. Students get to move around and still be able to learn the day's lesson. 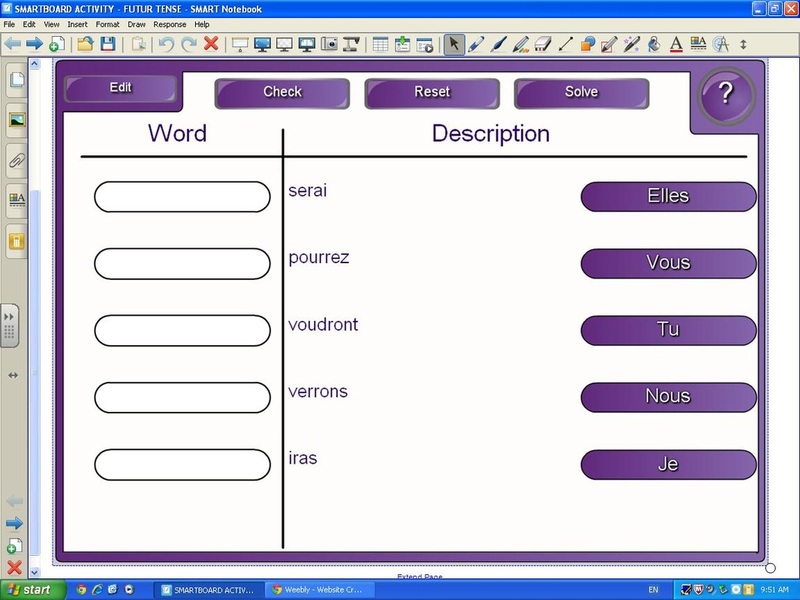 The SMARTBoard activities are well suited for any course, but especially for language courses due to the many word matching games. The activities are also suited to courses with a lot of fact memorization such as grade 9, grade 10 sciences and as well as biology.